Home Obituaries Ervin Lowe Jr.
Ervin (“Lee”) Lowe Jr. passed away at his home in Brooksville, Fla., after months of illness, surrounded by his family. He was 84. Lee was born to Ervin and Minnie Lowe Sr. on Oct. 12, 1934, in Livingston, Ky. He served his country as a Marine from 1953 to 1962. In 1963 he married Alma (Tilton) Lowe.They moved to Martha’s Vineyard in 1967, where Alma was born and raised. There they raised their six children. Lee was a jack-of-all-trades, and was skilled at homebuilding, building several homes from the ground up. He was hired on to do maintenance at the Colonial Inn, Pequot House, Lampost, Hot Tin Roof, and Wesley Hotel. 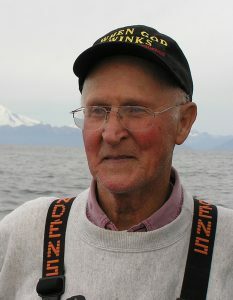 He enjoyed deer hunting, fishing, gardening, and spending time with his family. Lee and Alma had 22 foster children over the years, and adopted two boys. Their home was always open to anyone in need, and the kitchen table was a gathering place that made everyone feel at home. After retiring in 2002, he and Alma moved to Brooksville, Fla., where he became involved with the Marine Corps League Unit 708. He proudly served on the honor guard, which provided services at Florida National Cemetery for 10 years. He felt privileged to give back to those who also served. Lee also spent many hours in his woodshop building beautiful furniture. Lee is survived by his wife of 56 years, Alma; their sons, Christopher and Gwen Lowe of Long Beach, Calif., Thomas and Roberta Lowe of Arvonia, Va., Damion and Theresa Childs of Vineyard Haven, and Donald Childs of Vineyard Haven; their daughters, Brenda and John Pazar of Brooksville, Fla., and Amy and Gary Wajda-Nelson of Lower Waterford, Vt. Lee loved his nine grandchildren and four great-grandchildren. His service was held at Florida National Cemetery in Bushnell on March 21. In lieu of flowers, donations were sent to the Gary Sinise Foundation, P.O. Box 368, Woodland Hills, CA 91365, in Lee’s name.